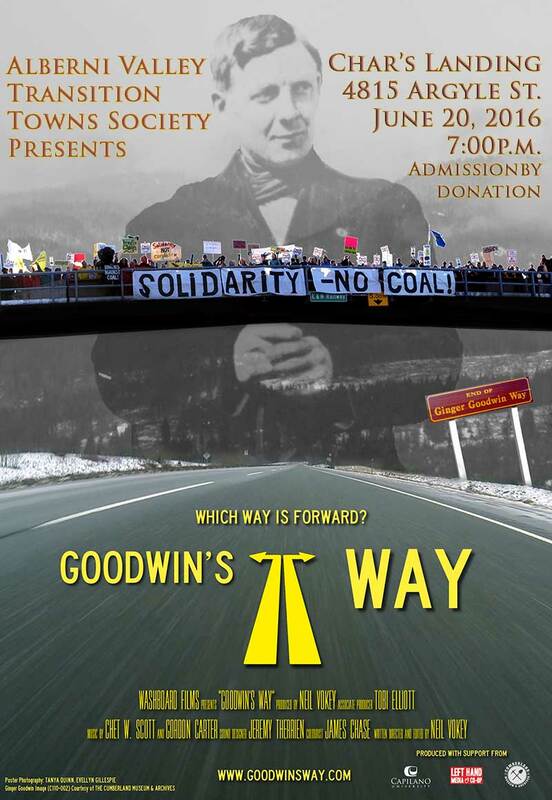 Neil Vokey will join us at Char’s Landing on Monday evening, June 20 to present his film Goodwin’s Way, a tale of coal, hard labour, and the redefinition of resource-based economies in Vancouver Island settings. The film is open to the general public (19+) without charge, though donations to help Neil further his work and to ensure the continued health of Char’s Landing are most welcome. Drinks and snacks will be available at usual prices.